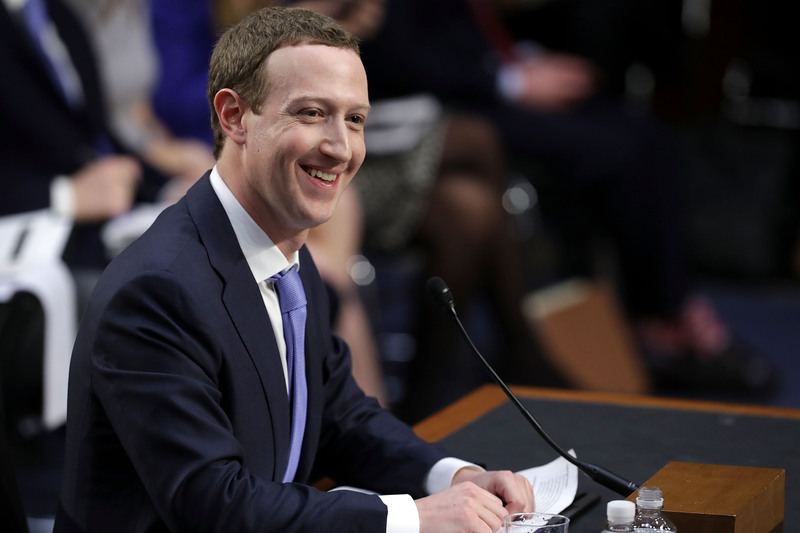 Enlarge/ Facebook co-founder, Chairman, and CEO Mark Zuckerberg testifies before a combined Senate Judiciary and Commerce Committee hearing in the Hart Senate Office Building on Capitol Hill, April 10, 2018, in Washington, DC. A failure to adequately redact a public court document from February 2017 shows that, back in 2012, Facebook considered charging companies at least $250,000 for access to one of its primary troves of user data, the Graph API. In April 2014, Facebook changed the way the previously permissive Graph API works. The social media giant restricted some data access and eliminated all access to the earlier version by June 2015. The redaction failure was first reported Wednesday by The Wall Street Journal. Ars was able to access pages of blacked-out text simply by copying and pasting them into a text editor. However, some portions of the messages, which span 2012 through 2014, are incomplete. These revealed blocks of text (built on previous reporting) that showed that Facebook gave extended access to the v1.0 of Graph API to numerous companies not only including Nissan and Royal Bank of Canada but now also to Chrysler/Fiat, Lyft, Airbnb, and Netflix, among others. How long this was under consideration is not clear, but it was not ultimately implemented—Facebook continues to give away access to its Graph API for free. These previously hidden excerpts reveal part of an argument that is at the crux of an ongoing lawsuit brought by Six4Three, a short-lived app that sought to identify Facebook images of people wearing bikinis. Since 2015, Six4Three has sued Facebook over what it claims are fraudulent breaches of contract—that Six4Three was shut out once Facebook changed access to the Graph API. The case, which was first filed in San Mateo County Superior Court, moved to federal court in San Francisco. It has since been remanded to the county court and is set for trial in April 2019. On Monday, a Six4Three executive admitted that he gave some documents to a British member of parliament while in London on business. Those documents had been under protective order by the San Mateo judge as part of this case. Facebook has asked that Six4Three’s attorneys be sanctioned and held in contempt of court. The judge will hear the matter during a Friday court hearing. “As we’ve said many times, the documents Six4Three gathered for this baseless case are only part of the story and are presented in a way that is very misleading without additional context,” Konstantinos Papamiltiadis, director of developer platforms and programs at Facebook, said in a statement sent to Ars. Evidence has been sealed by a California court, so we are not able to disprove every false accusation. That said, we stand by the platform changes we made in 2015 to stop a person from sharing their friends’ data with developers. Any short-term extensions granted during this platform transition were to prevent the changes from breaking user experience. To be clear, Facebook has never sold anyone’s data. Our APIs have always been free of charge, and we have never required developers to pay for using them, either directly or by buying advertising. Six4Three lawyer David Godkin has not responded to Ars’ request for comment. But he did file an 18-page document on February 9, 2017 that lambasted the deals with these companies. “In each of these cases, Facebook seems to base its decision to grant or deny these companies an unfair competitive advantage based on its ability to extract payment or other valuable consideration,” he wrote in the redacted portions of the 2017 filing.